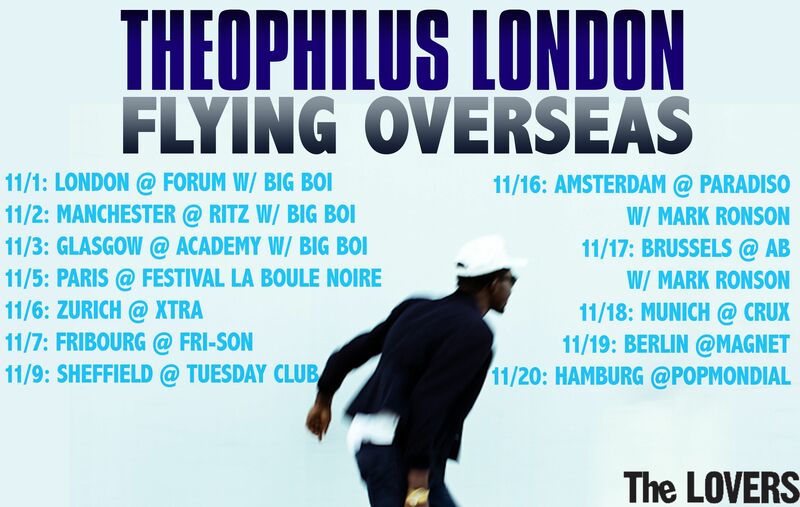 This entry was posted on October 26, 2010 at 4:45 am and is filed under Uncategorized with tags Flying overseas tour, Theophilus London. You can follow any responses to this entry through the RSS 2.0 feed. You can skip to the end and leave a response. Pinging is currently not allowed. What’s happended to the london fabric performance you had lined up for on the 11th of november? Please say its still on? Hey Theo, I shot a great picture of you last night although I missed your show here in Zürich! I would love to send you the pic! Keep on moving, you cool cats…greetings to Zeb! Damn, just read you will be the supporting act of Mark Ronson next week in the Paradiso Amsterdam. Now I am wondering; will I be more exited for the Mark Ronson concert or your part. Hard question!! Looking forward to finally seeing you in Amsterdam. Missed the Appelsap gig last year!